Most of the Hindu festivals and rituals have some significance with science and nature, and the New Year’s celebration is no exception. It is also considered as one of the harvest festivals. Although the celebration during the harvest is universal, it is termed and celebrated differently in many parts of the world. Similarly, in India, it is celebrated in various forms across the nation. 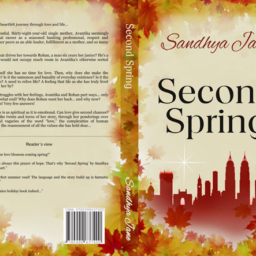 Usually, the New Year is celebrated on first day of the month of Chaitra, the first month of the Sanskrit calendar (beginning March-April), which is coincides with the first day of spring. · Starting the day at dawn. · Decorating the home with marigold flowers and mango leaves. 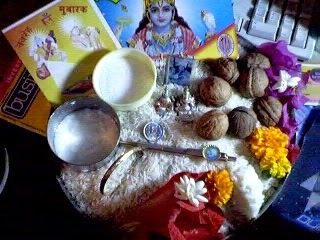 · Performing puja at home. 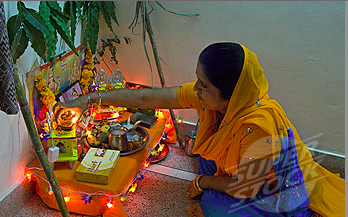 Currently, most people living in urban areas do not perform elaborate puja or rituals at home. Instead, they prefer to visit temples to attend the same. · Seeking blessings from elders at home and temple. · Giving gifts or money to younger members in home after they touch the feet of elders in the home. · Visiting the temple to worship and seeking the blessing of the Almighty. · Offering money, gifts, and new farm produce to the deity. · Exchanging sweets and gifts with family and friends. · Having an elaborate feast with family and friends. · Participating in gatherings for singing devotional songs (bhajan and kirtan) in the late afternoon or early evening. The New Year is on the first day of Chaitra, as per the Sanskrit or Hindu calendar, heralding the beginning of spring. However, it could be celebrated on another day in different parts of the country, as people mostly follow their regional calendars (for example, Tamils, Bengalis, Assamese, and others have their own calendars.) and it is perfectly fine. 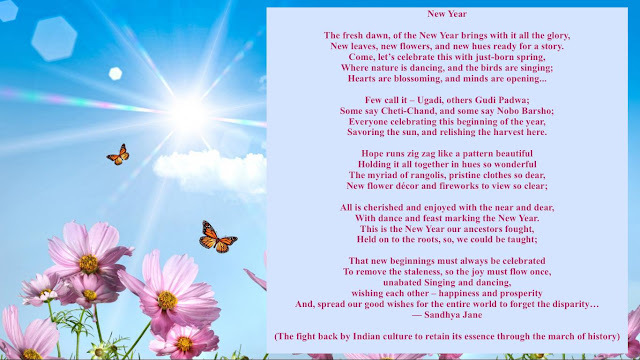 The New Year begins on the same day for people in Tamil Nadu, Assam, Kerala, Manipur, Mithila (Nepal), Orissa, Punjab, Tripura, Bangladesh, Burma, Cambodia, Sri Lanka, and Thailand. Now, let us briefly understand how people celebrate their New Year in different parts of the nation. 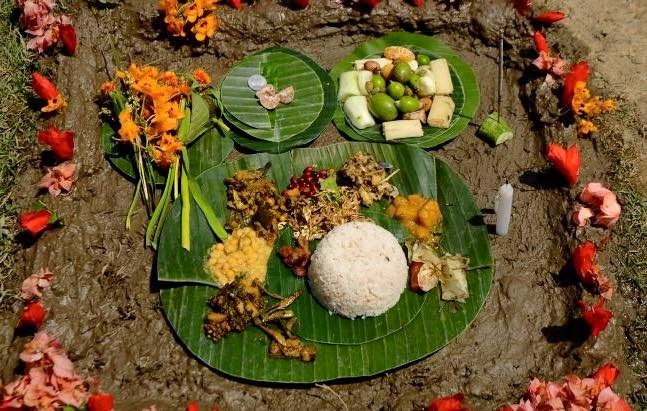 The day starts by viewing the tray containing auspicious things such as gold, silver, jewelry, and new clothes, the new calendar, a mirror, rice, coconuts, fruits, vegetables, betel leaves, and other fresh farm products during this time. 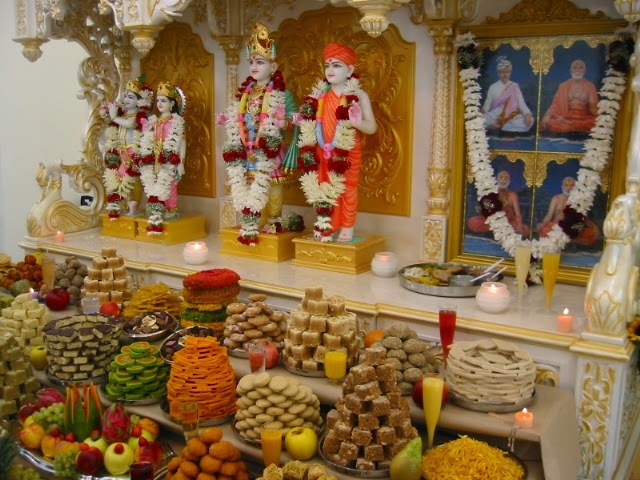 This tray is arranged on the eve of Puthandu. 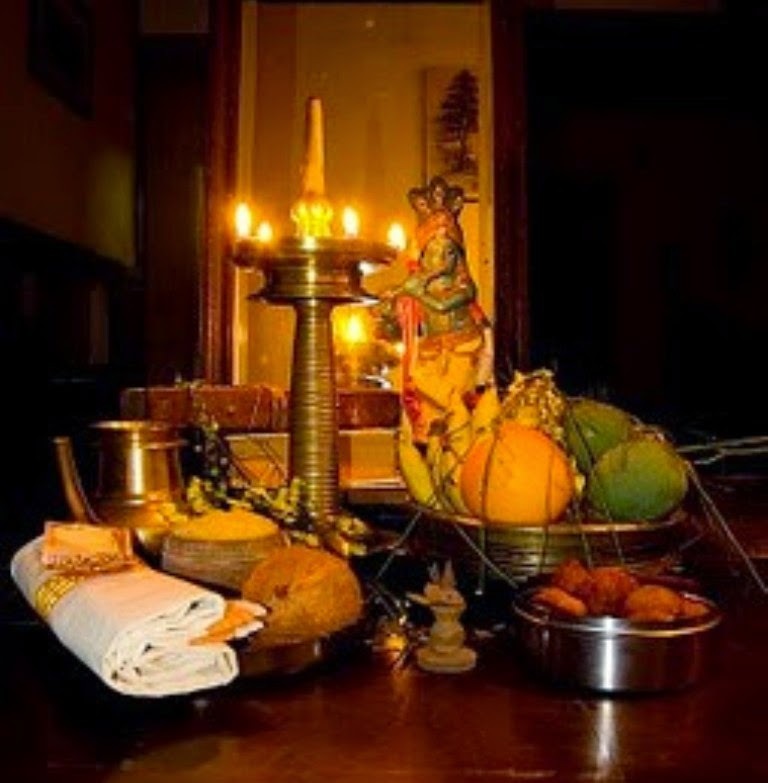 In Kerala, the New Year is Vishu. “Vishu” is the first day in the first month of Medam in Kerala. 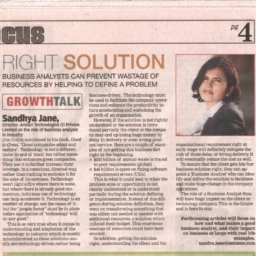 Similar to Tamil custom, they view auspicious articles in the morning and it is known as Vishukkani. People wear new clothes and visit temple. 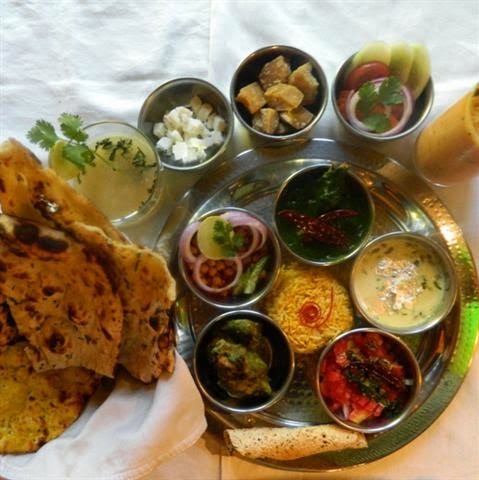 The elaborate lunch is called Sadya. 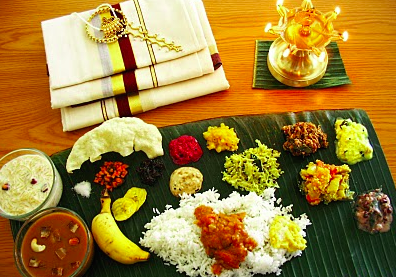 Vishu Kanji (rice, coconut milk, and spices), Vishu Katta (rice powder, coconut milk, and jaggery), and Thoran (sour mango soup) are some of the special dishes prepared for Vishu using freshly harvested rice and other farm produce. In Karnataka/Andhra Pradesh, Ugadi (in Karnataka and Andhra) is considered as the day of a creation of the universe by Lord Brahma. 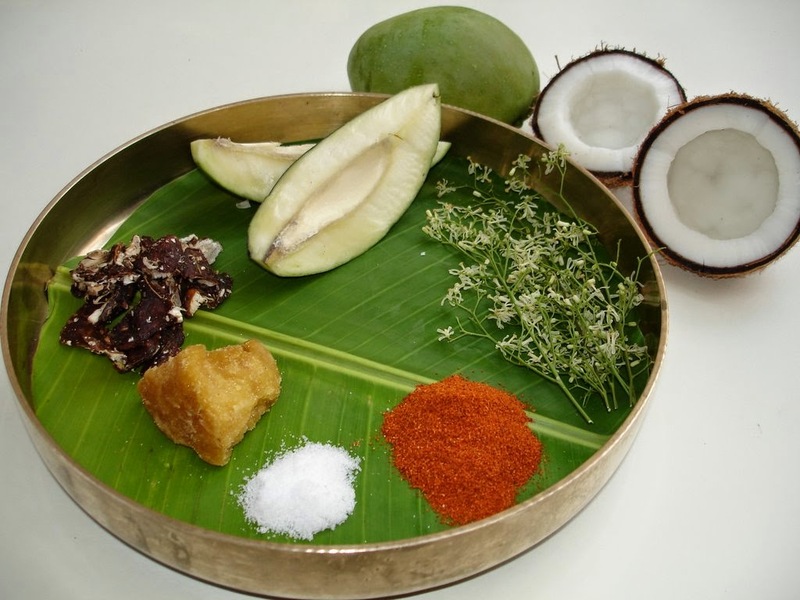 Ugadi means the beginning of new era, derived from words yug (age/era) and adi (beginning). Family members eat Bevubella (in Kannada) or Pachadi (in Tamil), as mentioned above. 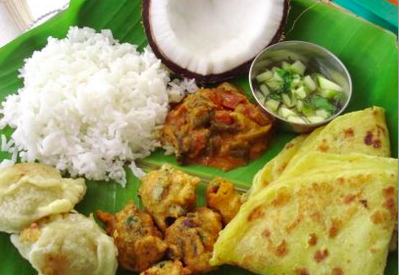 The primary dishes on this day are holge (Kannada), bobattu (in Telgu), and puran poli (Marathi). 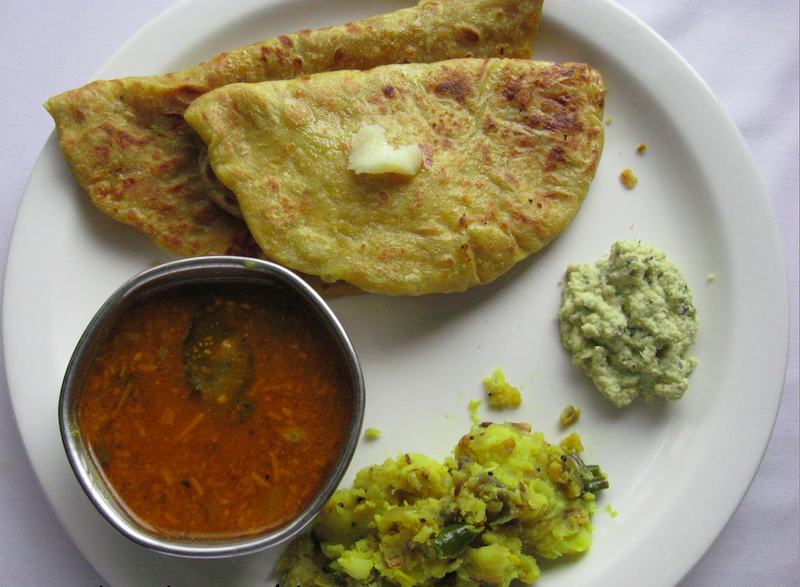 It is stuffed paratha (flat bread) filled with a paste made of boiled chickpeas and jaggery or sugar. We wish it as “Nootana Samvachara Shubha Kanshalu” or “Ugadi Shubha Kanshalu” in Telgu and “Hosa Varshada Shubhashayagalu” or “Ugadi Shubhashayagalu” in Kannada. 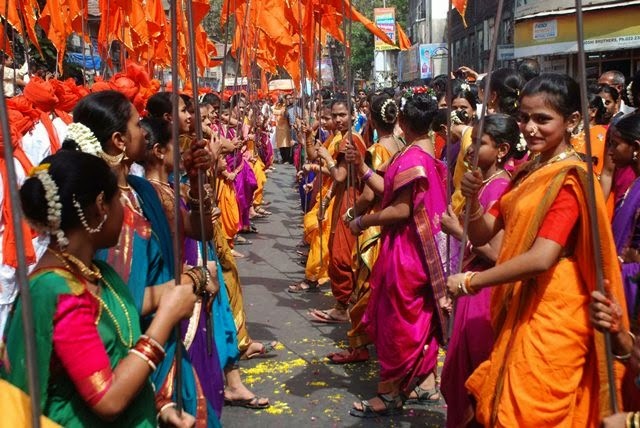 In Maharashtra, Gudi Padwa (Maharashtra) is considered as the new beginning by raising Gudi to celebrate Mother Nature’s abundance for every living being. Gudi is a stick placed in small copper or silver jar (upside down) and decorated with a silk sari/material, garlands of sugar candy, and flowers. Puran Poli, as described above, is the main sweet dish prepared for this occasion. Gudi Padwa is one of three most auspicious day of the year to buy gold, silver, or a home, or even to launch a new project. 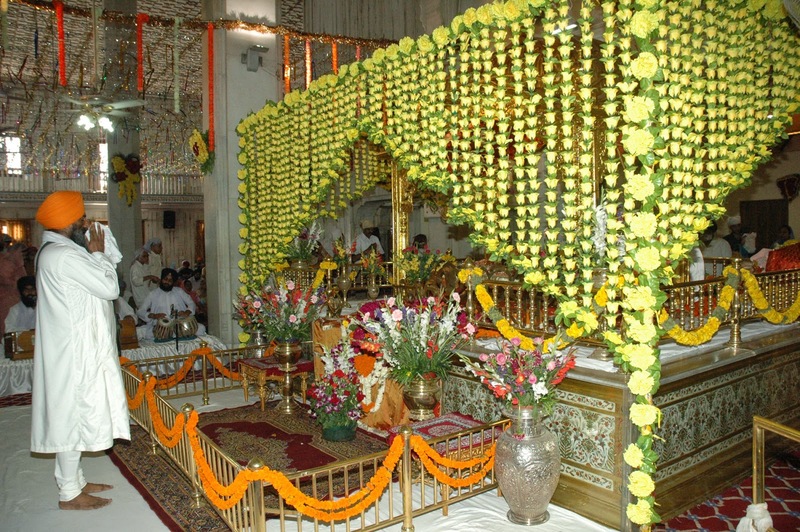 The homes and temples are decorated with marigold flowers and mango leaves. A few people in Gujarat sell or give raw salt or Sarbes, indicating all tastes of life are acceptable, similar to Ugadi Bev or Pachadi. 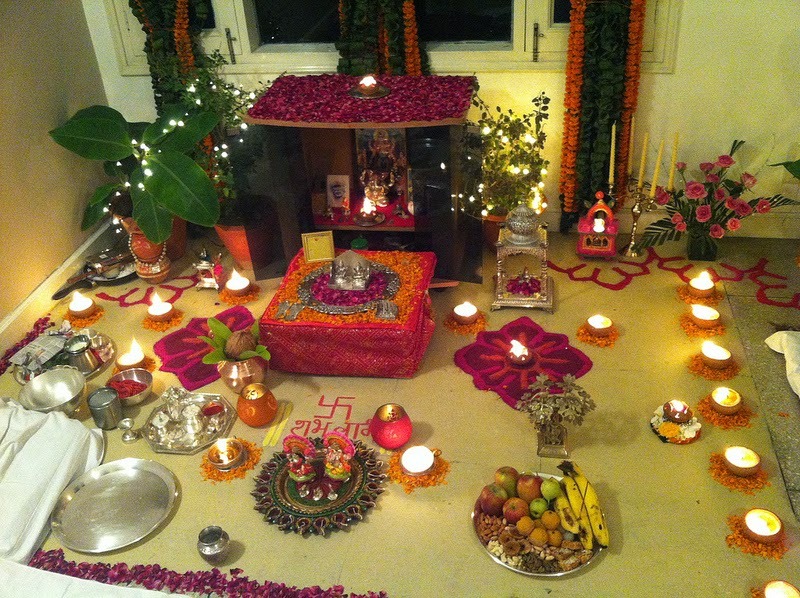 Bali Pujan is also performed on this day. There will be separate a blog featuring Bali Pujan. Sindhis are originally from the Sindh (now in Pakistan) province, who migrated to India after the partition. 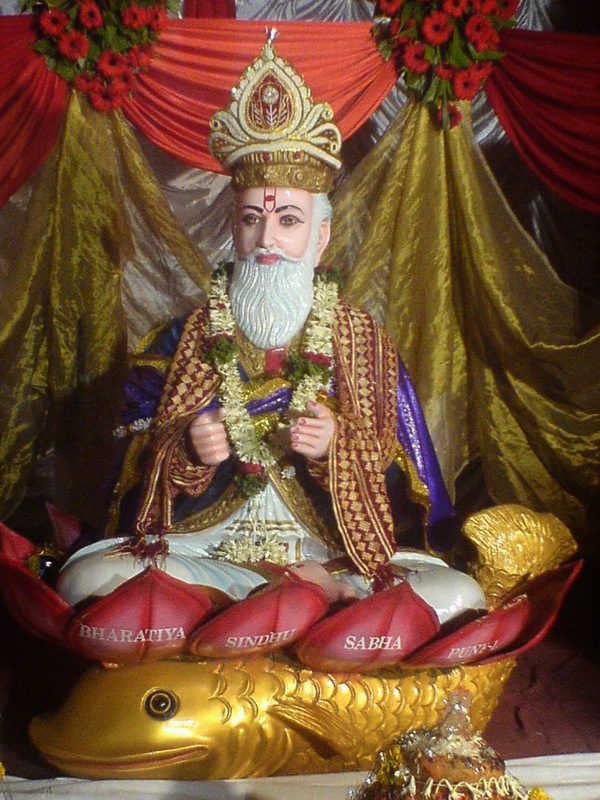 Cheti-Chand in Sindhi is celebrated on the first day of Chaitra along with Jhulelal’s birthday. 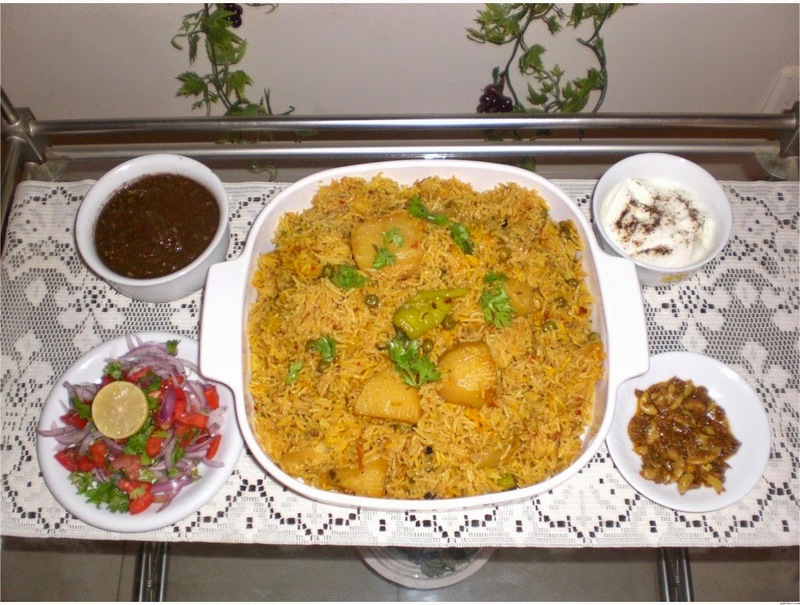 On this day, Sindhis also celebrate Thanksgiving. 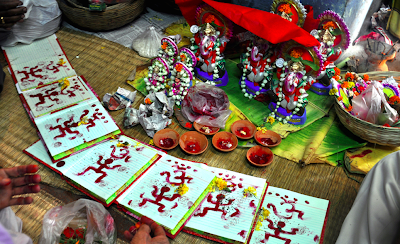 They worship Varuna and spend the day with family and friends celebrating the festival with elaborate puja and feast. They participate in bhajan and arti (a gathering of friends and relatives to sing devotional songs) in the evening. In Punjab, the New Year is celebrated during mid-April with dance and music. It is known as Baisakhi, traditionally a harvest festival. This is also Thanksgiving Day, thanking God for abundance in life and praying for a better future. 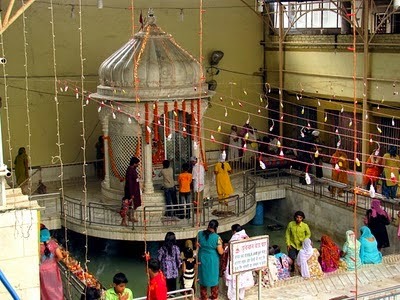 People on this day take a ritual bath in the sacred Ganges River and worship the goddess. It is celebrated as a joyous occasion by performing Bhangra and Giddha to the rhythm of the dhol. Baisakhi also marks the founding of the Khalsa brotherhood by Sikh Guru Govind Singh. Sikhs visit Gurudwara before dawn and offer their prayers. People participate in a community procession in the evening. 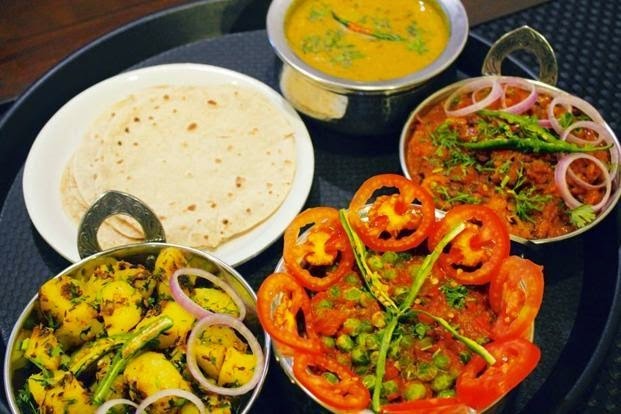 Some of the Baisakhi dishes are achari mutton, tandoori chicken, and saag meat as primary dishes on non-vegetarian menus and coconut laddoo, sarsoon ka saag, makki ki roti, pindi chana, battura, wheat flour laddoo, carrot halwa are a few dishes on the vegetarian menu. 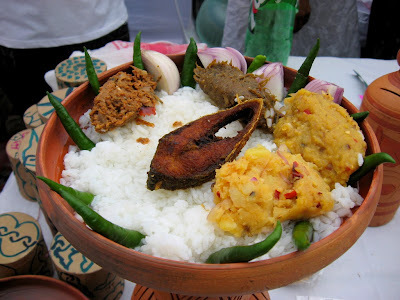 Bengalis celebrate their New Year or Poila Baishakh or Nabo Barsho in mid-April. On this day, they worship the Goddess Lakshmi (who bestows the wealth and prosperity) for wealth and prosperity in the New Year. 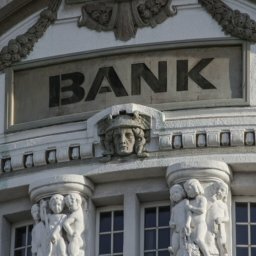 Most Bengalis start their New Year with new financial records and accounts, the way Gujarati do it on Diwali. Although it is marked as a state holiday in West Bengal, it is a national holiday in Bangladesh. Most non-Hindus also follow Hindu cultural rituals/practices (except worshiping Hindu deities), which are passed on to them for generations. 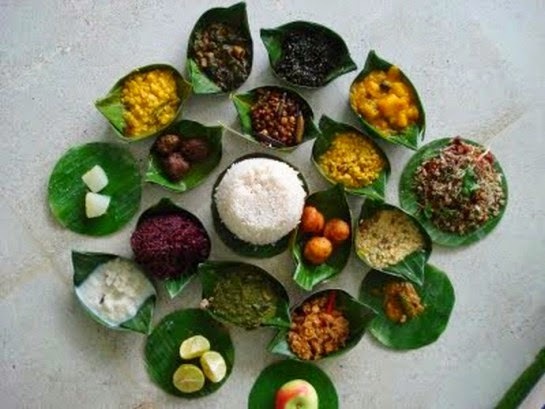 The northeastern state of Assam celebrates the New Year as Bohaag Bihu or Rongali Bihu. This is the celebration of spring, of a new harvest with family and friends. 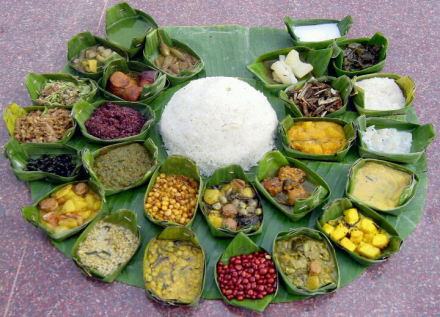 Pitha (a specially made rice cake) is one of the main cuisines prepared on this occasion. 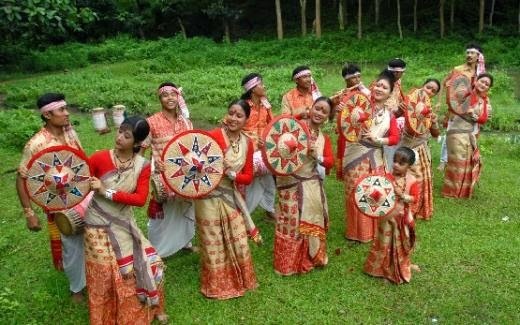 This time of the year, young girls sing “Bihugeets” and dance in a traditional way called Mukoli. Unlike other places, this New Year celebration in Assam is celebrated with fun and fair, and sometimes, the celebration continues for weeks. The meetings during the celebration is one of traditional ways of finding a suitable match among youngsters. So, it is a season of love. Sajibu Nongma Panda or Cheiraoba (stick announcement), the New Year in Manipur, marks the end of the old year and welcomes the New Year. It is on first day of the lunar Manipuri month of Sajibu (Chaitrya). One ritual after the feast is climbing Cheiraoching, i.e. nearest hilltop, to mark climbing the pinnacle of success in the New Year or the belief that motivates people to achieve greater heights in their real lives. The Sikkimese New Year is known as Losoong, which is influenced by the Tibetan New Year (Losar) usually celebrated in December or the beginning of harvesting season to pray for better crops for the coming season. 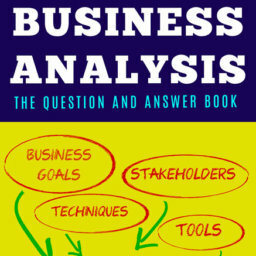 It is also popular among people in neighboring states/countries (Bhutan, Nepal, Tibet). 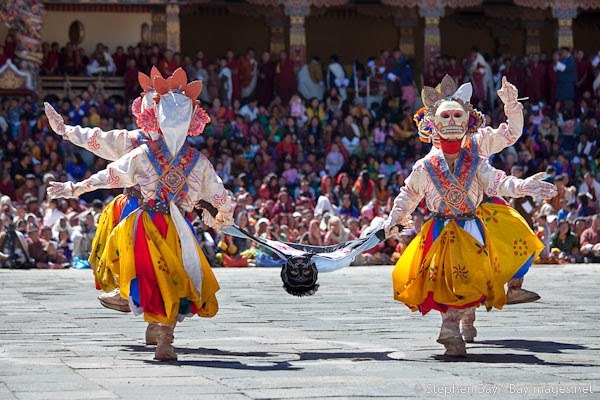 The main attraction of this festival is – the cham dance (originated in Tibet). In Kashmir, the New Year is celebrated on first day of Chaitra and it is known as Navreh or Navratras. This day is also sacred for Kashmiri the way Shivratri is considered in rest of India as it was mentioned in Rajtarangini and Nilamat Purana of Kashmir. Kashmiris worship Ma Shikara on this day. One of the rituals is dropping a walnut in the river to mark Thanksgiving. Evenings are filled with haven and other puja in the temple. 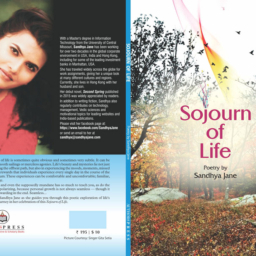 Summarizing all in a poem….which is now part of “Sojourn of Life”, my poetry book. Disclaimer: The information and pictures are based on internet and other sources. 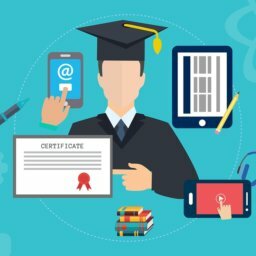 The pictures are sourced from internet for education purpose only.